This beautiful 4 bedroom pool home is located in a private and gated award winning golf community near all Orlando`s Amenities! This beautiful 4 bedroom and 3 bathrooms villa is located in an award winning Golf Course and Country Club. This is a gated community and is surrounded by a beautiful golf course with on-site luxury facilities including children’s playground, restaurant and bar, tennis, fishing lake and fitness gym. With easy access to and from Orlando International airport only a 30 minutes drive. Right outside the main gates, just a stroll away, you will find a 24-hour Wal-Mart, fast food chains, restaurants, sports bars, banking etc. For the golfers, you have a jewel of a course right on your doorstep. This golf course is widely acclaimed in many US golfing journals and offers players of all abilities the chance to play one of the most challenging and beautiful courses in Central Florida. Overlooking the golf course itself is truly a vacation to remember! Furnishings, appliances and TV's all combine to offer the discerning guest a great vacation. 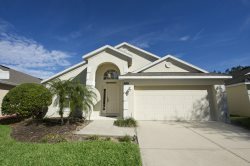 This beautiful 4 bedroom, 3 bathroom pool home is located in a private and gated golf community near all of Orlando's Amenities! Just 25 minutes from Walt Disney World and 46 minutes to Universal Studios. 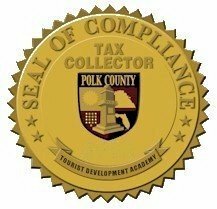 Easy acces to Highway 27, Interstate 4 and Highway 192.